Coming off a sensational performance against No. 1 UCLA, Cal junior Jared Horn has been named Pac-12 Pitcher of the Week. As expected, both Horn and Garcia pitched brilliantly, each pitcher allowing only one earned run through their first six innings. In regard to Cal’s recent performance on the mound, the team’s pitching staff has enjoyed success from both its younger arms and its returning veterans. 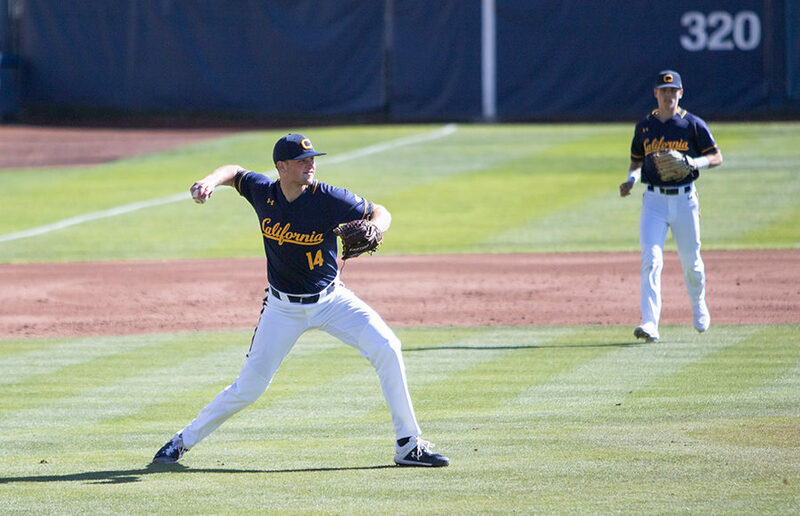 Cal baseball fell short of nine consecutive wins Sunday but still emerged from the weekend as winners against Arizona. Concretely, the Bears’ consistency can be improved by creating more offensive combinations that lead to RBIs, avoiding errors and keeping the opponent’s on-base percentage low. After capturing its first series win in nearly a month, the Bears believe they can repeat their success moving forward, regardless of which team they’re facing. Getting to a quick start can increase your chances of winning, but the start itself can’t guarantee wins. Cal baseball certainly experienced that this weekend, losing two of three at Creighton despite jumping out to early leads in all three games. In the final home series of the season, Cal baseball (29-19, 14-13) emerged victorious in all three games against Arizona (29-20, 10-14) on the back of a red-hot offense. The Bears’ first sweep against a conference opponent this year provided a much-needed jolt for their postseason push.